Prime Minister Hon. Manasseh Sogavare applauded the Solomon Islands Bar Association for its thorough and complete review of the 2nd 2014 Draft Federal Constitution of Solomon Islands, which ended on Friday 24 June 2016. In addressing the fifty lawyers who participated in the awareness program of this draft, the Prime Minister said as the head of the executive branch of government, which emanate the vision, the policy direction and action plan of the federal reform, he was pleased to address members of the legal fraternity on it. Members of the Bar Association with CRU officials after two weeks of consultation on the draft on Friday 24 June 2016. Photo supplied. The participation of economic groups that went through the awareness of the 2nd 2014 Draft Federal Constitution of Solomon Islands was dubbed an important consultation as it dealt with the fiscal capability of the proposed federal arrangement. Reginald Teutao, Consultant Lawyer of the Constitutional Reform Unit (CRU) reiterated this during the groups’ awareness program, which concluded on Wednesday 11th May 2016. The purpose of this consultation was to get the economic and fiscal perspective of the proposed Constitution, aside from giving awareness to participants on the latest Draft. The University of South Pacific Solomon Islands (USP SI) campus have concluded the awareness on the 2nd 2014 Draft Federal Constitution of Solomon Islands with the Constitu-tional Reform Unit (CRU). CRU’s Consultant Lawyer Mr. Reginald Teutao went through the draft with about forty-five (45) participating students and staff in almost two weeks since Monday 18th April 2016. CRU continued its public awareness on the 2nd 2014 Draft with Solomon Islanders studying in tertiary institutions within the region starting with Solomon Islanders studying and working in Suva, Fiji. 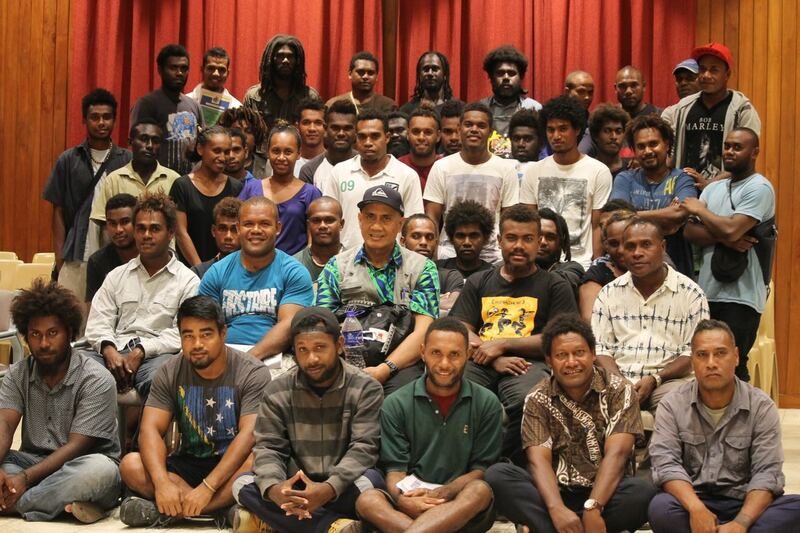 From Monday 19th October 2015 they went through a 5-day awareness consultation on the draft Federal Constitution. The Awareness ended on Friday 23rd October 2015 at Fiji's old parliament premises. 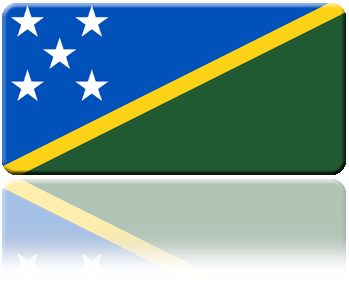 The proposed Federal system for Solomon Islands received an overwhelming support from the all nine provinces. This was the outcome of the Awareness program on the 2nd 2014 Draft Federal Constitution held for over 11 weeks from May till September 2015. The Provincial consultations were part of the Public Awareness on the 2nd 2014 Draft Federal Constitution. Honiara was the first to hold its consultation and Western Province was the final provincial consultation to be held. In March 2014, the 4th Joint CC & EPAC Plenary made a decision that CC Provincial teams inform their respective provinces of the recent 2014 Draft, professionally drafted by Constitution drafter Dr. Phillip Knight. This Public Awareness Program is seen as part of the national ratification process. The 2nd 2014 Draft Federal Constitution of SI will be reviewed in this process. The text of the 2nd 2014 Draft Federal Constitution was endorsed by the 4th Joint CC and EPAC Plenary on April 2014. Final parts to the complete document was done by CRU Consultant Lawyer and Professional Constitution Drafter Dr. Phillip Knight. Constitutional Reform Unit (CRU) completed a four-day awareness program on the 2nd 2014 Draft Federal Constitution of Solomon Islands with Solomon Islands students studying at Papua New Guinea’s University of Technology (Unitech) in Lae on Friday 8th April 2016. This is part of CRU's public awareness with tertiary students studying in Solomon Islands and in the region. Solomon Islands students at the University of Papua New Guinea (UPNG) successfully completed the awareness on the 2nd 2014 Draft Federal Constitution of Solomon Islands with CRU officials in Port Moresby on Friday 1st April 2016. 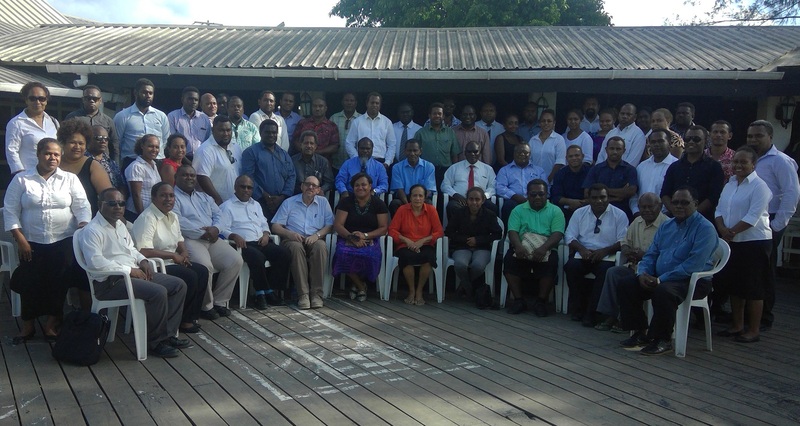 Permanent Secretaries, Under Secretaries and senior officials of various Government Ministries concluded a weeklong awareness consultation on Constitutional Reform Unit’s (CRU) Public Awareness on the 2nd 2014 Draft Federal Constitution of Solomon Islands at Heritage Park Hotel. The Awareness program started on Monday 29th February and was expected to end on Thursday 17th March. The staff and students of SINU who attended the awareness meeting at Panatina Lecture hall, completed going through the 2nd 2014 Draft and endorsed it after the awareness session on the eve of Friday 11 March 2016. A student from Kukum SINU asking questions during the awareness program at the Lecture theatre on Thursday 17 March 2016. The sessions were held in the evenings. Copyright 2016 Constitutional Reform Unit. All rights reserved.